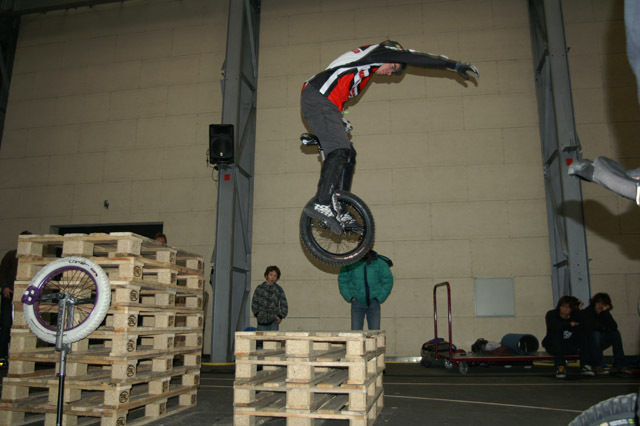 It was a fantastic event with all of You, really extreme! 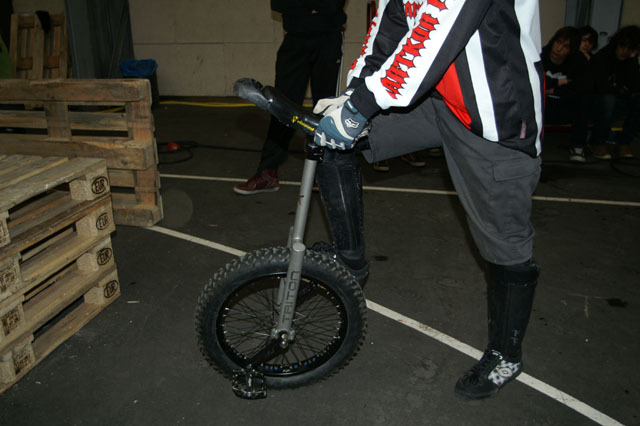 For me it was the chance to meet the best Flat, Trial and Street riders to see new tricks and to get new ideas for developing frames and present you the newest Triton frames. 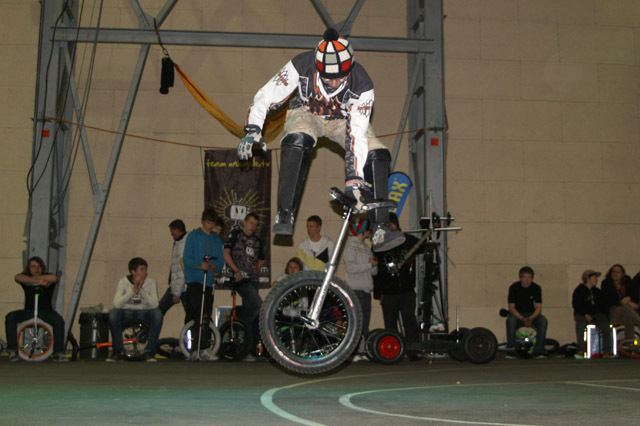 About 150 riders from 15 countrys demonstrate there capability in Köln and there was a hughe interest in the Triton titanium frames even though they are to expensive for most riders. 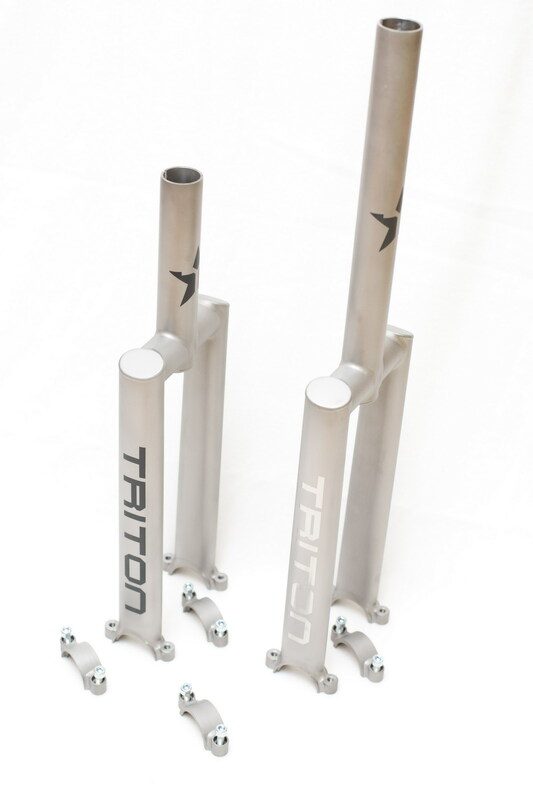 The downside of innovative technologie and material, but its not essential to ride Triton, its just special. 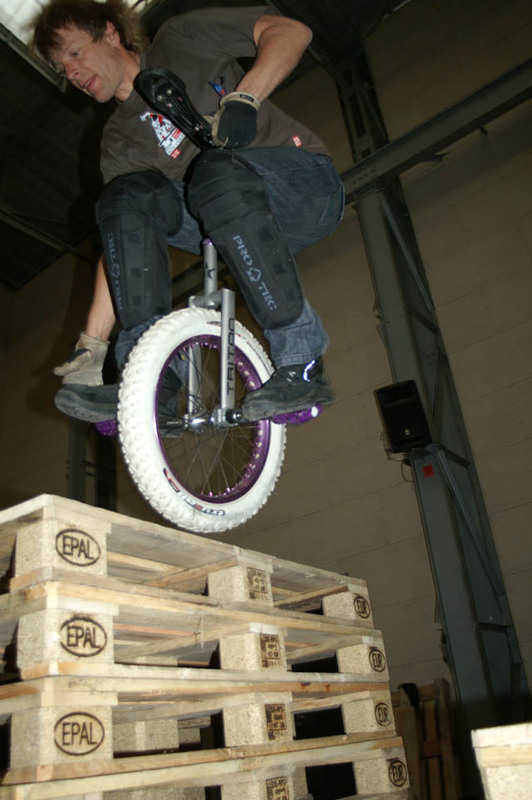 That´s what Ivan from Russia feels while riding his Triton 20″ Sponge trial frame. 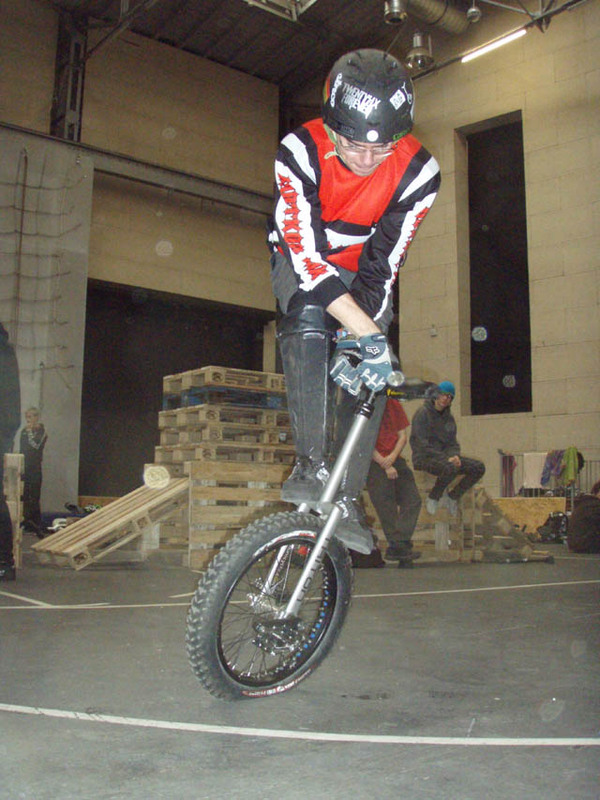 Although its two years old, he is in the centre of interest whereever riders recognice the Triton. 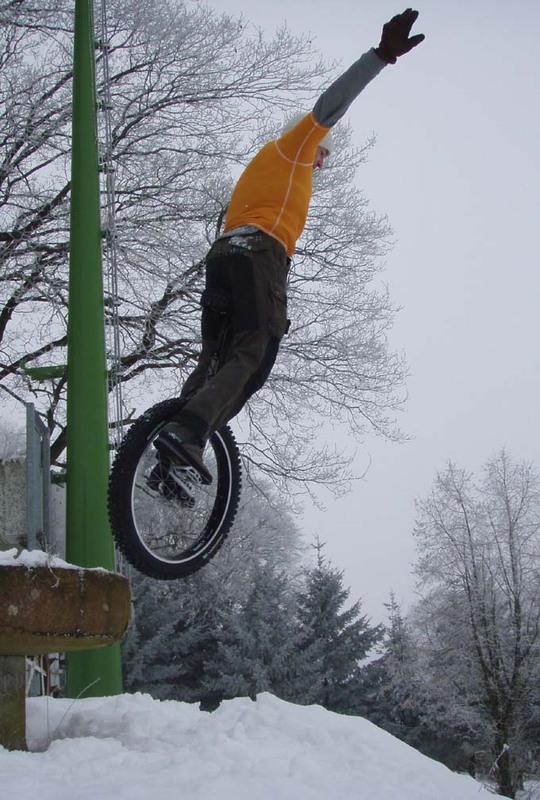 As well Marco was excited riding his brandnew 20″ longneck Triton frame. 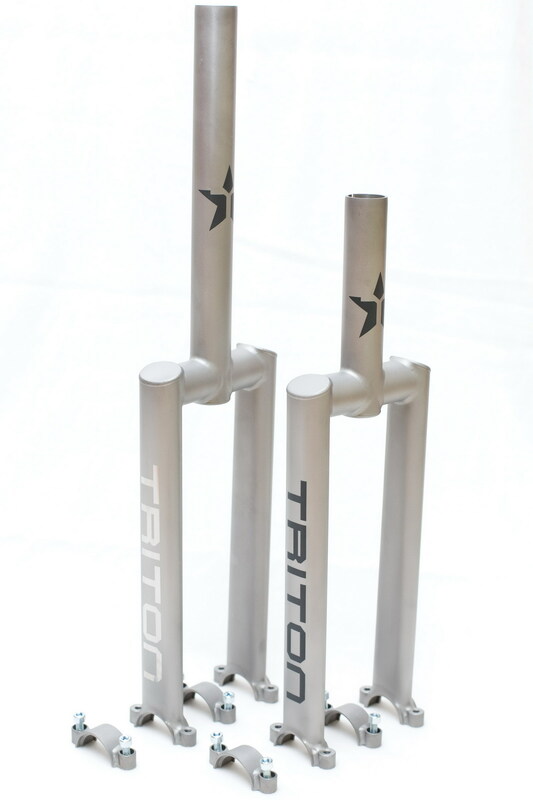 In difference to the Triton Sponge frame it has a lot of crown space for standup tricks and is not only for trial but also perfect for flat and street. Marco says its enormous stiff in comparsion to his old frame which gives him more power to trials and tricks and less for flexing the frame. 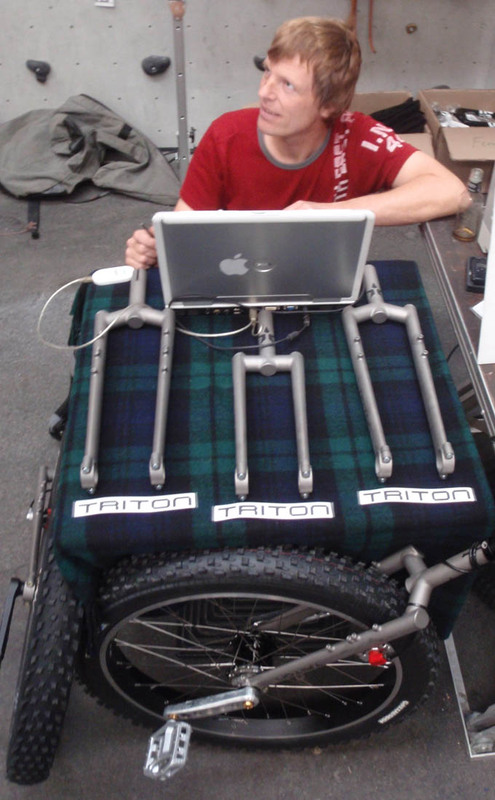 20″ Triton trial – first pics! It was -7° celsius and we had around 30cm firn snow near hamburg . I rode my Triton 26″ and Arne tested the 26″ Triton Schlumpf, dressed with his kite surf life jacked because of the temperature 🙂 . 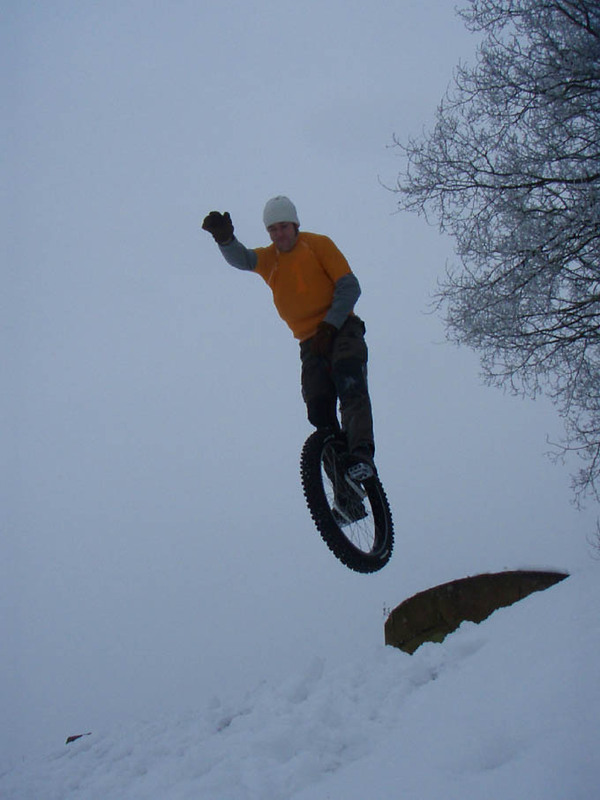 Arne is one of the fastest 36″ riders worldwide and he enjoyed to race in top gear over snow and ice… I followed I some distance. 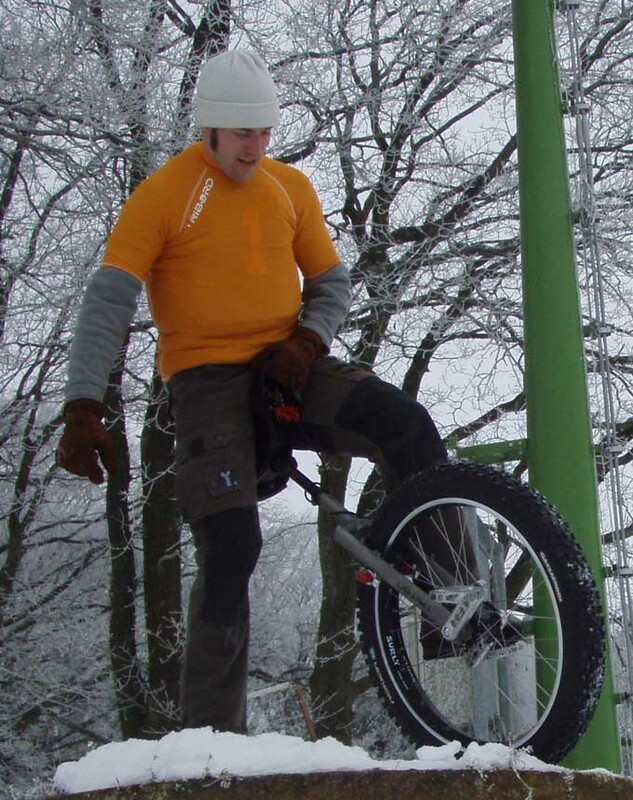 Furthermore we had much fun doing some downhill at the slopes of „Harburger Berge“ landing some „super hero flights“ in the soft snow. Thanks to Arne for visiting Hamburg and Muniman and Elke for joining this wonderful muni sunday afternoon. 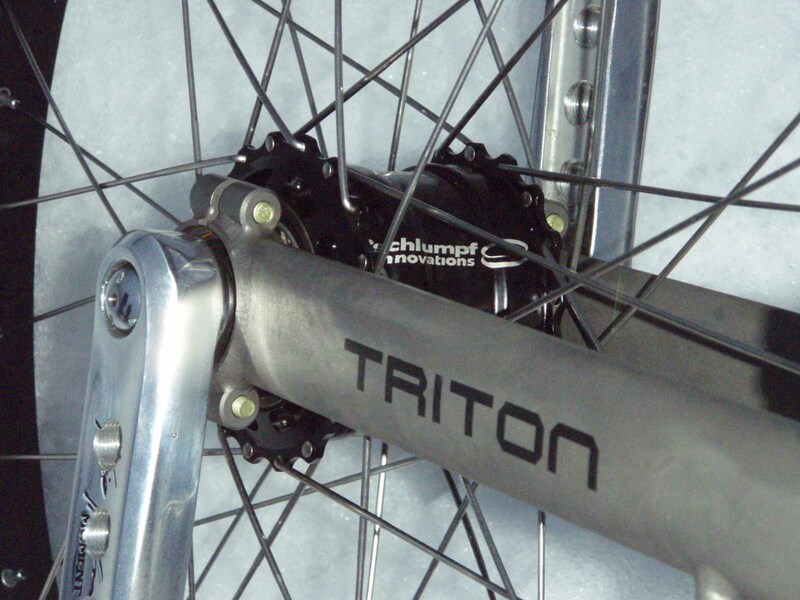 This weekend I tested my new setup, Triton triple Frame, 26″, Large Marge, 3″ Gazza and Schlumpf hub! 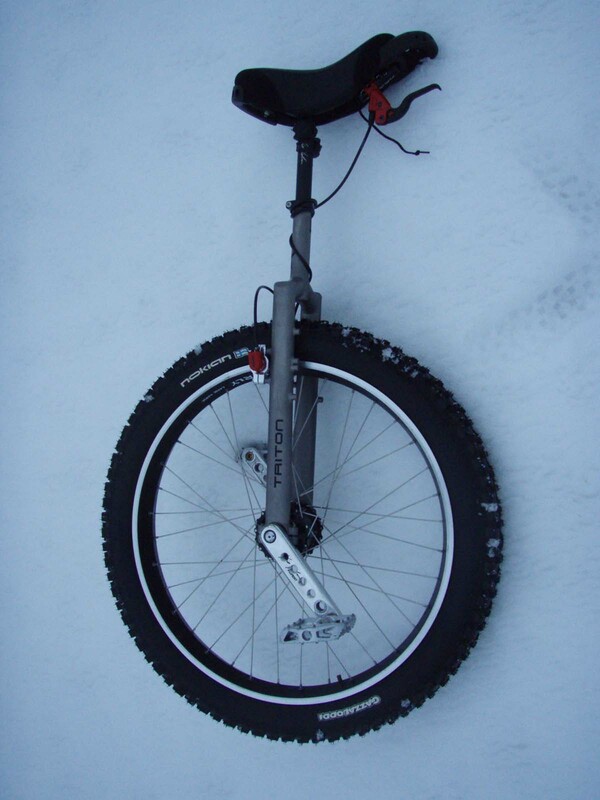 It was an amazing ride in fresh fallen snow and although I got some experience with my 36″ Schlumpf I was surprised what high speed you can reach with a 26″ x 3″ Schlumpf! new 20″ expected soon at EUC! You are currently browsing the Triton Team Blog blog archives for Februar, 2010.